Pokémon X and Y is coming out to the Nintendo 3DS for all counties on October 12, 2013. I'm looking forward to Pokémon X and Y because of the full 3D gameplay and other cool new stuff. Pokémon X and Y takes place in the Kalos Region. The Kalos region is shaped like a five-pointed star, with one of its biggest cities being Lumiose City to the north-central part of the region. Kalos is based off of the real-world France, having a similar shape and features, while Lumiose City is based off of Paris, the capitol of France. Pokémon X and Y feature a completely three dimensional style of gameplay, and 3D modeled characters and creatures are used, rather than sprites like has always been done in the main series. The Battle System has been largely improved with 3D moves and each Pokémon has a unique attacks animation. Players can now walk on an 8 directional grid, allowing diagonal movement, as opposed to the four way grid in previous games. Player under certain conditions can now rollerskate. and have been shown to allow the player to grind and overcome obstacles. 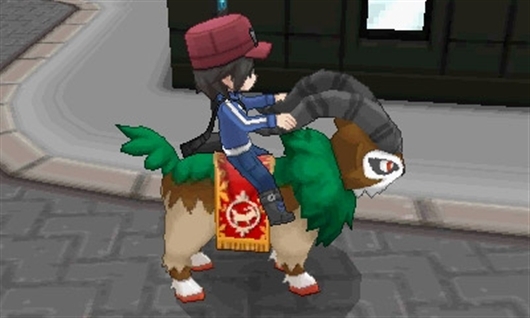 Gogoat and Rhyhorn can be ridden in certain locations and allow the player to interact with the environment, by destroying rocks and crossing broken paths. It is now possible to encounter multiple wild Pokémon at once. Up to five wild Pokémon will battle with one of the player's Pokémon. Some attacks, such as Rock Slide, are shown to hit all five of the opposing Pokémon. However, after the player's turn, their Pokémon must withstand attacks from all five of the opposing Pokémon. There is a new Pokémon type. 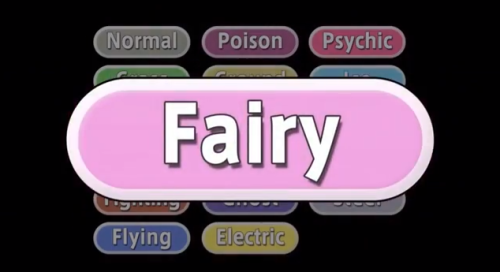 After 12 years they have introduced a new species, the Fairy-type. This type was added to balance the Dragon type, which was previous only weak to itself and Ice. While it is known that Fairy-type attacks are strong against the Dragon type, it is unknown what other types it is strong or weak against. 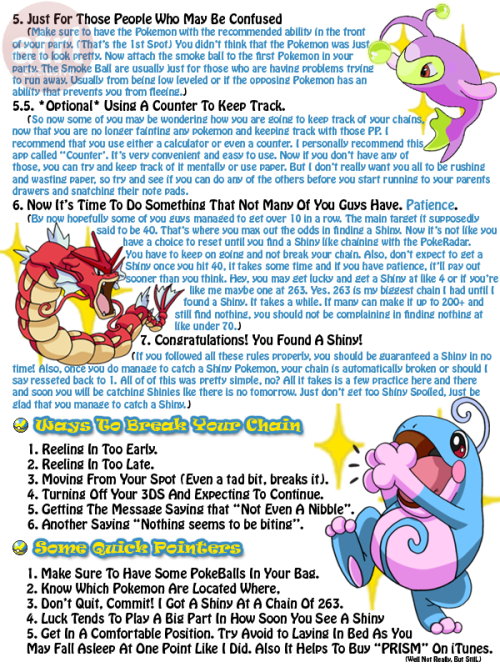 It is also unknown what types Fairy-type Pokémon resist. Now each Pokémon X and Y game has seven languages. English, Spanish, French, German, Italian, Japanese, and Korean. 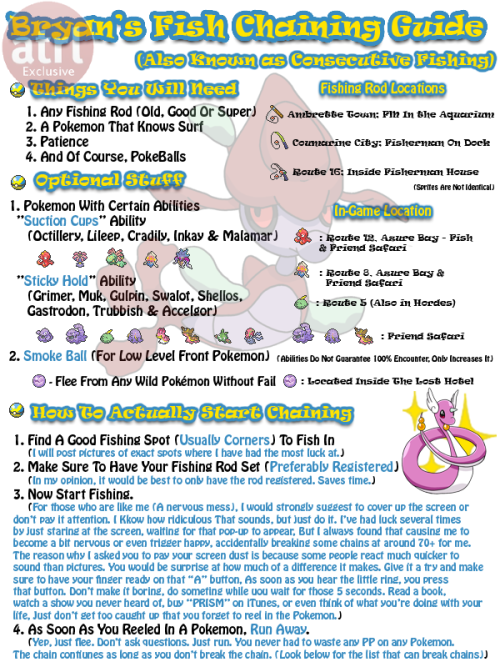 while browsing tumblr i found a way to catch and find shiny pokemon by fishing. Current time: 04-23-2019, 05:08 PM Powered By MyBB 1.8.20, © 2002-2019 MyBB Group.